It has been said that beer brings people together. At least that was the case for Missouri S&T students and Zeta Tau Alpha sorority sisters Delaney Sexton and Courtney Mandeville, who worked together in co-op positions at Anheuser-Busch in St. Louis. 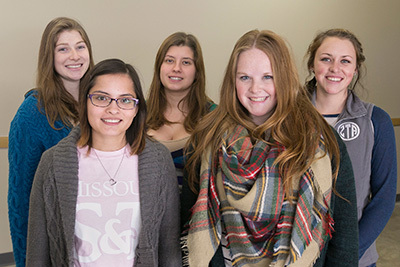 Sexton and Mandeville worked with S&T’s Cooperative Education Program, which gives students employment opportunities to gain practical degree-related work experience before they graduate. The program is set up so that students can take a break from studies and work full time for one semester or a combination of semesters, which allows eight to nine months of work experience versus the three summer months allowed for internship positions. Sexton, a senior in engineering management and mechanical engineering from Independence, Missouri, worked in operations, where she managed four bottling lines at the company’s historic Bevo Bottling Plant. She says she had 30 operators reporting to her at any given time during her co-op, which concluded in July. 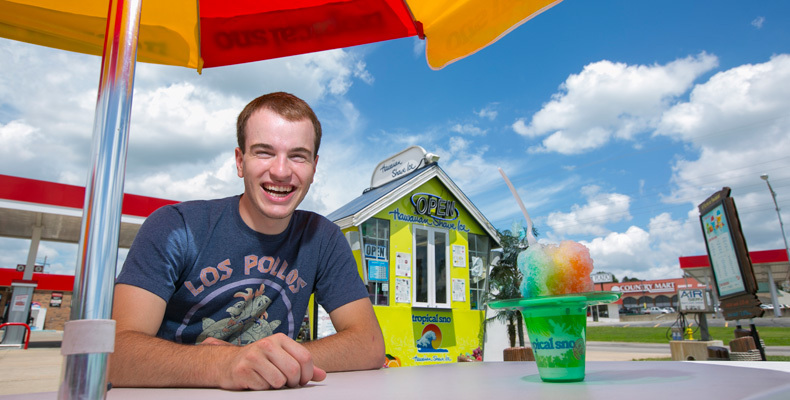 Ryan Priesmeyer, an incoming freshman at Missouri S&T, owns and operates the Tropical Sno on 10th Street in Rolla. 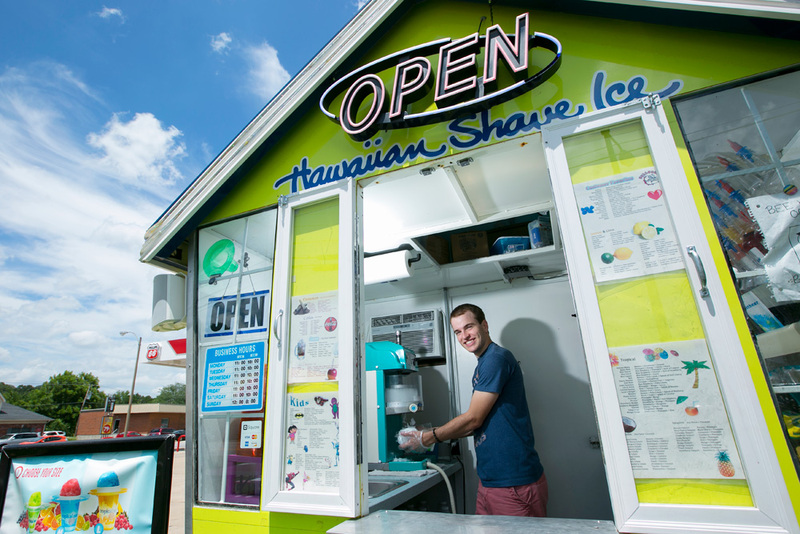 On a sweltering summer afternoon, a mother of three pulls in to a parking space parallel to the Tropical Sno stand at the corner of 10th Street and Forum Drive in Rolla. Ryan Priesmeyer is leaning out of the front window to greet her and her children with a smile. A tow-headed boy with red cheeks is crying uncontrollably. A brown-eyed girl with pointy pigtails is tugging at her mother’s shirt and a tall, thin teenaged boy is mostly removed from the situation. “How can I help you?” Priesmeyer asks, then takes the woman’s order. Soon, cups piled high with brightly tinted ice shavings are passed through the window. The crying dies down; the tugging stops; and the teenaged boy smiles. This is a scene that Priesmeyer has repeated time and time again this past summer as manager and owner of Tropical Sno. The Rolla High School graduate recently bought the stand outright from previous owner Dr. Judd Boehme, a Rolla dentist who moved out of state. Priesmeyer expects it to help pay his tuition at Missouri S&T, where he plans to major in mechanical engineering this fall. 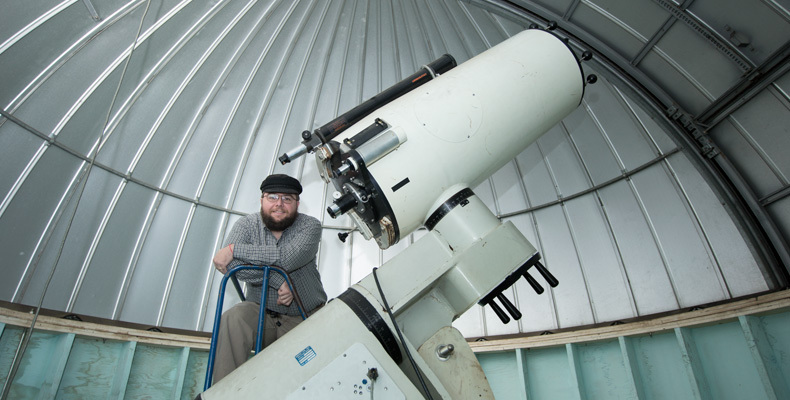 “It’s going to put me through college, which I’m really happy about,” he says. When Boehme announced that he and his family were moving to Nevada to be closer to family, he gave first dibs on the sale to Priesmeyer, who took over the stand in April — two months shy of high school graduation. Priesmeyer is confident he can balance college classes and schoolwork with running the stand, which usually stays open through September. “I like to stay busy,” he adds. Priesmeyer met Boehme through a friend who worked at Tropical Sno. Boehme asked Priesmeyer to manage the shack while he was out of town and was impressed with his work. Their friendship and trust grew from there. “It was an amazing friendship that we built,” Priesmeyer says. Boehme showed Priesmeyer how to manage the money for the business, place orders and make snow cones. Priesmeyer says the transition from managing the stand to owning it was seamless. “I already knew what I was doing whenever I fully took over,” he says, adding that he feels good about owning a business at such a young age. He’s also happy to be keeping a Rolla landmark in town. “I’m glad the shack is staying in Rolla because it’s a Rolla thing,” he says. “This stand has been here most of my life. It’s like a tradition for me. For Katherine Bartels, environmentalism is all about balance. “It is finding the best solution for humans and the environment without sacrificing one for the other,” she says. Bartels follows this mantra in her current research project. 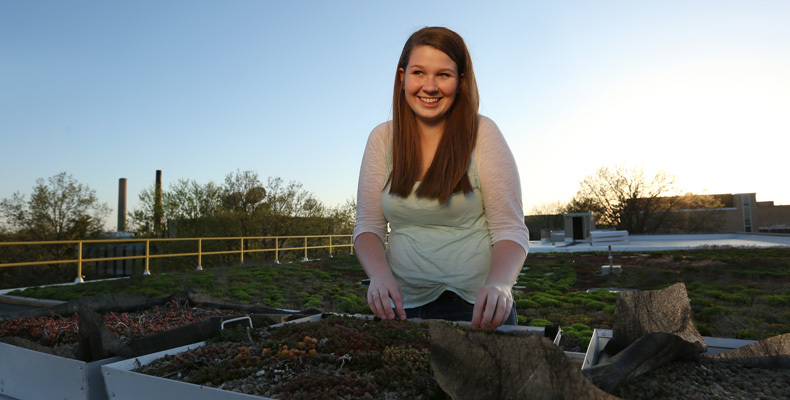 She studies the volume and quality of stormwater saved from runoff by the green roof on top of Missouri S&T’s Emerson Electric Co. Hall. The green roof features 16,000 plants arranged in the shape of a shamrock. Most of the plants growing on the roof are a variety of sedum and all were chosen for their ability to thrive in direct sun and wind with limited water. The roof is divided into three sections, each covered with different roofing materials, which allow S&T researchers to compare the water runoff control, water quality and thermal properties of each material. Bartels, a sophomore in environmental engineering from Independence, Missouri, started the experiment last summer as part of the Opportunities for Undergraduate Research Experiences (OURE) program, and plans to continue her research until she graduates. 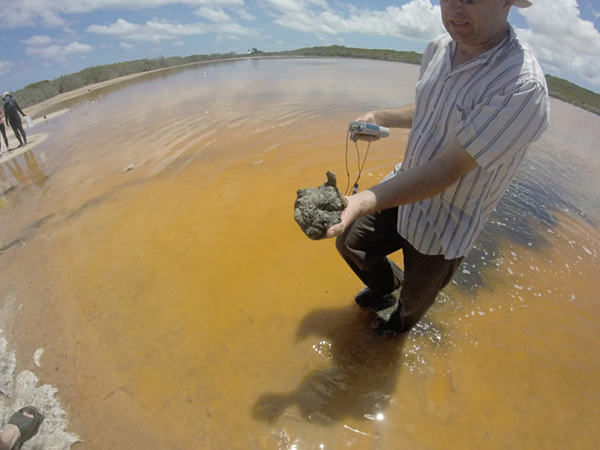 Joel Burken, professor of civil, architectural and environmental engineering and director of the Environmental Research Center for Emerging Contaminants, directs the research. Bartels says that although the green roof absorbs a significant amount of stormwater, the stormwater that is washed out has much higher concentrations of nitrogen and phosphate than a typical black roof. When excessive nitrogen and phosphorous levels end up in local waterways, undesirable side effects such as algae blooms can occur. When algae die, they decompose. The decomposition consumes oxygen, and with less oxygen, naturally occurring aquatic plants, fish, crustaceans and other organisms can die. Algae blooms also produce algal toxins that directly pollute the source of drinking water intake. So now, Bartels is researching how much ground soil is necessary on a green roof to fully absorb the stormwater and minimize the amount of nutrients in the runoff. She is also studying the cooling effect that green roofs have on urban “heat islands.” An urban heat island is a city or metropolitan area that is significantly warmer than its surrounding rural areas due to human activities. That project was initiated by Madison Gibler, a graduate student who plans to complete her master’s degree in May. “What our research does is maximize the water source potential to cool the urban heat islands, but minimize the amount of nutrients in the runoff,” Bartels says. Once a month, Bartels tests the rainwater on the green roof. She uses small plots of soil to trap the stormwater, and then filters it through plastic tubes to paint buckets where the runoff can be extracted and tested for nitrogen and phosphate. Some of the plots feature sedum plants. 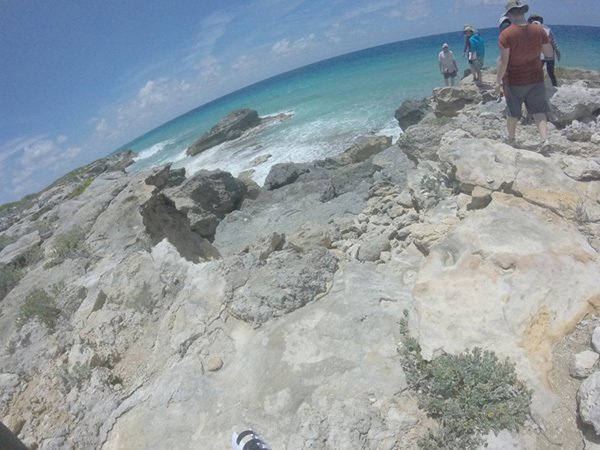 Others are just covered with rocks and soil. By testing varying plots, Bartels can get an idea of the impact different plants and soils have on the stormwater. She presented her research to the state’s top legislators in Jefferson City on March 10 as part of the annual Undergraduate Research Day at the Capitol. Bartels was also just accepted into the Aaron and Zelda Greenberg Scholars Program in the civil, architectural and environmental engineering department, in which students work with faculty advisors to develop a program of independent research study that will weave through both bachelor’s and master’s degree programs. Bartels says she has always known that she wanted to channel her love of science into an environmentally focused career. Bartels’ passion for developing clean water took root in high school, where she first learned about diverting stormwater runoff using rain gardens and green roofs in her environmental science class. Bartels says her teacher used a low-lying recreation field with poor drainage as an example. “I said, ‘Why don’t we build one?’” says Bartels. Her teacher agreed, and the class built the school’s first-ever rain garden. 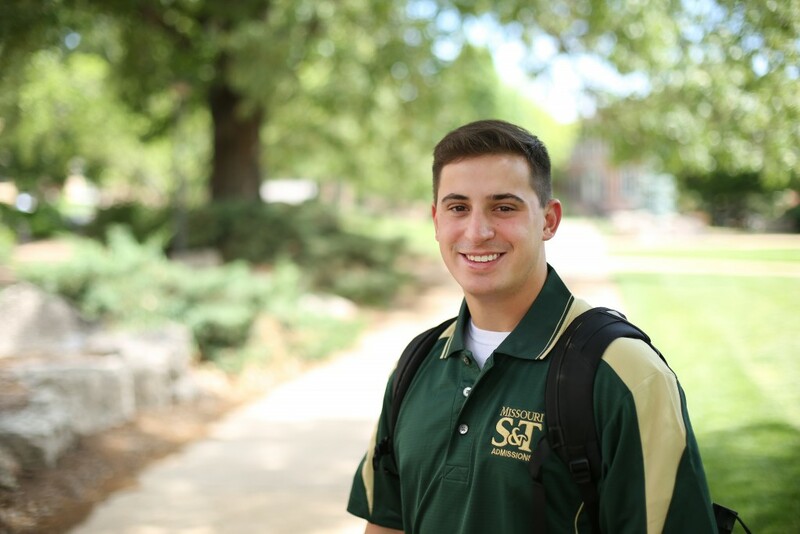 Bartels is treasurer of Missouri S&T’s Water Environment Federation (WEF) student chapter. 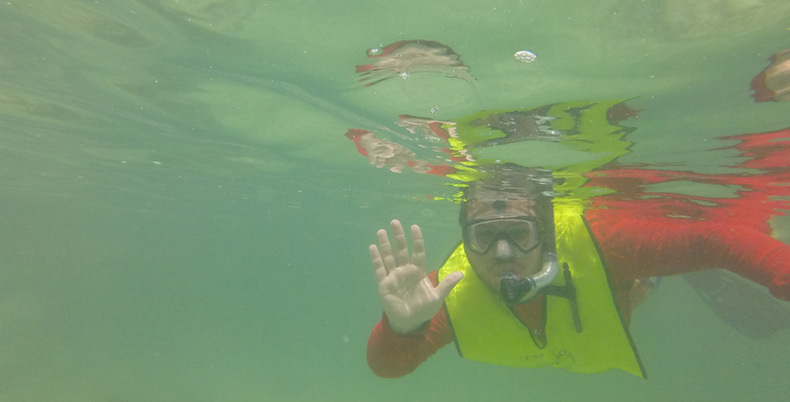 The student organization is heavily involved in environmental cleanups, and does float trip and sinkhole trash pickups at least once a year. The organization also monitors the water quality of Beaver Creek in southern Phelps County for the Missouri Department of Natural Resources, taking water quality samples twice a year, and makes presentations at local primary schools. Bartels hopes to work for the Environmental Protection Agency some day, maybe testing and improving water quality. 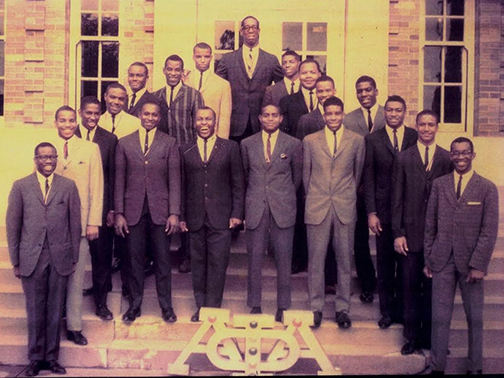 Chartered in 1965 at the height of the civil rights movement, Missouri S&T’s oldest African-American fraternity encountered obstacles on the way to its 50th anniversary, especially in the early years. 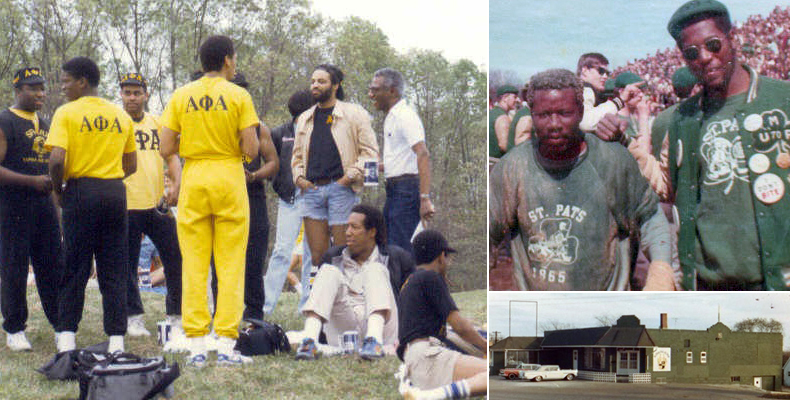 “There were some difficulties in getting the fraternity off the ground,” says Henry Brown, a 1968 civil engineering graduate of Missouri S&T and one of 18 founding members of the Epsilon Psi chapter of Alpha Phi Alpha fraternity. There was pushback from the university when Howard Manning, a 1967 civil engineering graduate, and Louis Smith, a 1966 electrical engineering graduate, transfer students and Alpha Phi Alpha brothers from Lincoln University in Jefferson City, approached administrators with the idea of establishing a chapter of Alpha Phi Alpha in Rolla. Administrators questioned the need for a new, historically black fraternity when there were already a handful of nationally recognized fraternities at the university, Brown says. “But it wasn’t a realistic possibility for us to walk up and join one of the fraternities already on campus,” he says. Using the clout of Lawrence C. George, who had agreed to be the fraternity’s resident advisor, the students eventually convinced school administrators to approve the new fraternity. George, a respected Rolla chemist, was an alumnus of Alpha Phi Alpha’s Beta Pi chapter at Dillard University. With a resident advisor, the fraternity was now in need of a house. Once again, the fraternity got pushback – this time from local real estate agents. “You have to think about what Rolla was like in the ’60s – a small, Midwestern town,” says Brown, a native of St. Joseph, Missouri. The fraternity spent the spring and part of that summer contacting local real estate agents for house tours. Brown says that fraternity members had no trouble scheduling tours by phone, but when they showed up in person, they were almost always turned away. With traditional housing options exhausted, George once again stepped in to help. He had an acquaintance who owned a former car dealership that was willing to sell the property to the new fraternity. It wasn’t ideal, but the fraternity brothers worked every day that summer to rehab and convert the building into suitable housing. George, who only stepped down as the fraternity’s advisor in 2013, passed away in March. 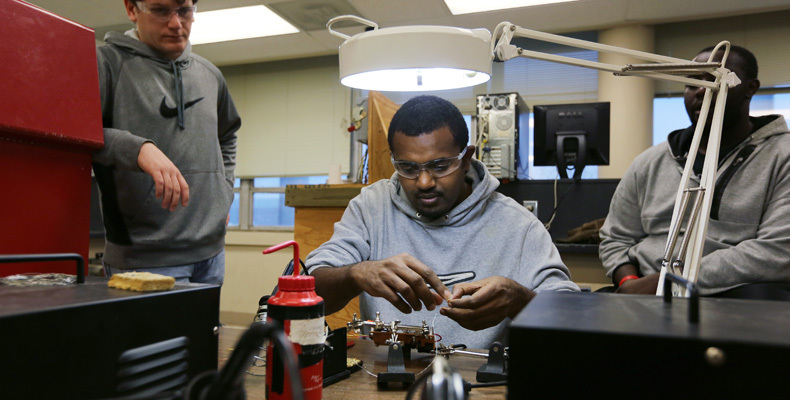 “He was very influential on not just us, but the well-being of all black students in Rolla,” said Akil Hutchins, a senior in engineering management from St. Louis. Through a half century of service at S&T, Alpha Phi Alpha has been instrumental in forming a number of student and faculty organizations focused on diversity and inclusion, including the Association for Black Students, National Society of Black Engineers, the Chancellor’s Advisory Committee on African American Recruitment and Retention, and Black Man’s Think Tank. The fraternity also helped bring the Minority Introduction to Technology and Engineering summer camp to campus and created a number of scholarships for minority students. 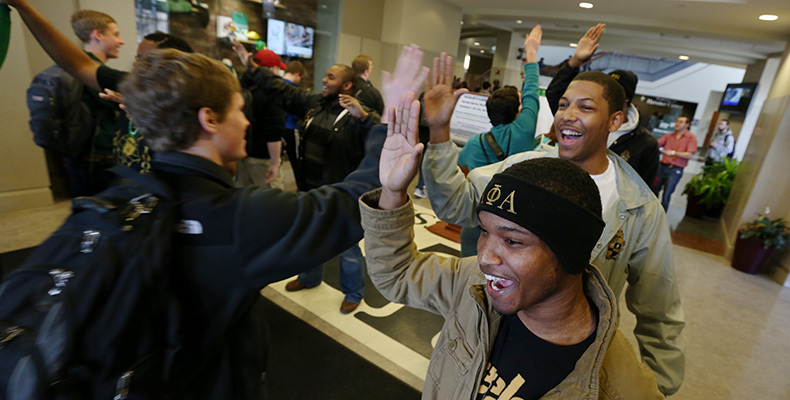 With Alpha Phi Alpha’s continuing involvement in diverse service projects and organizations on campus, the fraternity promises to be a voice for minority students for the foreseeable future. Florence says he certainly owes a great deal to the fraternity. Every February, the fraternity sponsors a National Black HIV/AIDS Awareness Day in conjunction with Black History Month. Members also organize outreach events in conjunction with their national organization, such as A Voteless People is a Hopeless People and Go-To-High School, Go-To-College. And they host Missouri’s longest-running collegiate dance competition, Dance XXXPLOSION. The 2015 event will be held at the ARK in Waynesville, Missouri, this April. The fraternity will also be hosting a week long 50th anniversary celebration centered around the chapter’s charter day on April 27. The celebration will begin in earnest with a welcome reception on Thursday, April 23 at 6 p.m., and will feature a golf tournament, bowling tournament, flag football game, BBQ, and roast and dance. More details will be posted to the fraternity’s website as the event nears. 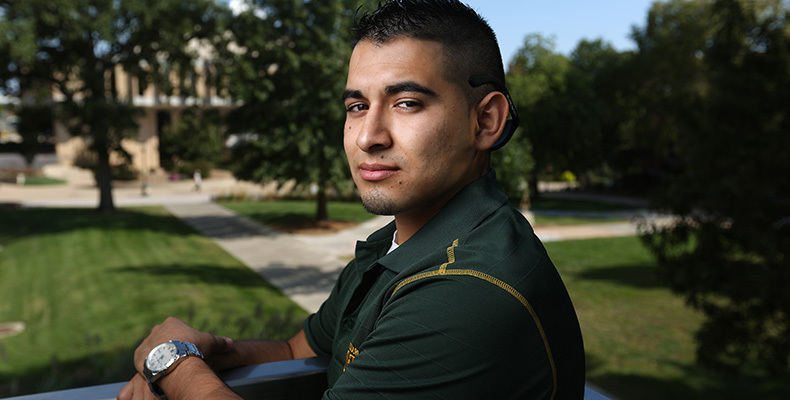 Although they come from different places and backgrounds, the first students to minor in humanitarian engineering and science at S&T have at least one thing in common – a desire to change the world for the better. Founded in fall 2014, the HES minor offers a multi-disciplinary approach to improving the well-being of the underserved in the community and throughout the world through volunteer work and service learning. Before the semester, Curt Elmore, professor of geological engineering and leader of the program, put a call out to interested students, inviting them to a presentation about the new minor. “He said he could only pick five students,” says sophomore Alicia McCabe, one of the students chosen. Fellow sophomores Danielle Sheahan, Brianna Works, Kataryna Kraemer and Alyssa Luczak joined McCabe as the first to pursue the minor. Elmore says that the students were a good fit for the program based on their previous volunteer work and their desire to make a positive impact on the world. The minor requires at least 60 hours of formal experiential service learning; 20 hours a semester for three semesters. 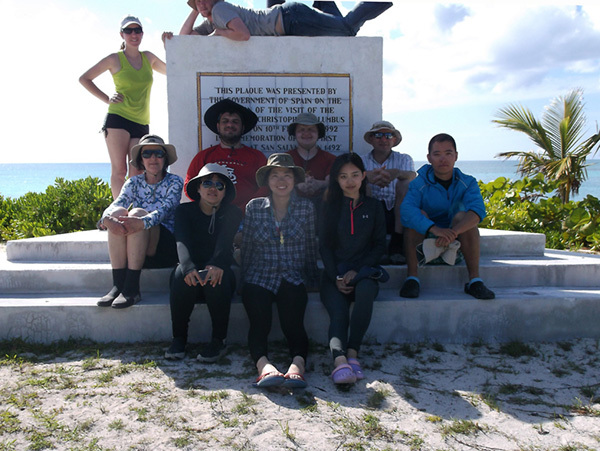 Each student is partnered with a campus, local or regional organization, and fulfills her volunteer hours through them. Elmore says he tries to match students up with organizations that have projects they are interested in or have a passion for. 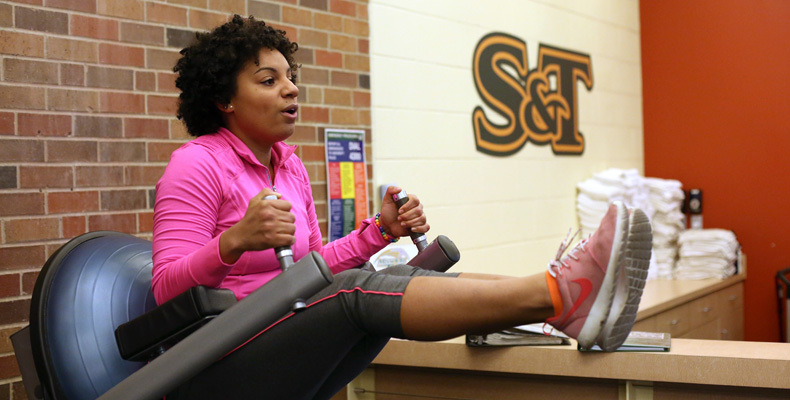 Luczak, a biochemical engineering student from Chicago, works with The Community Partnership. 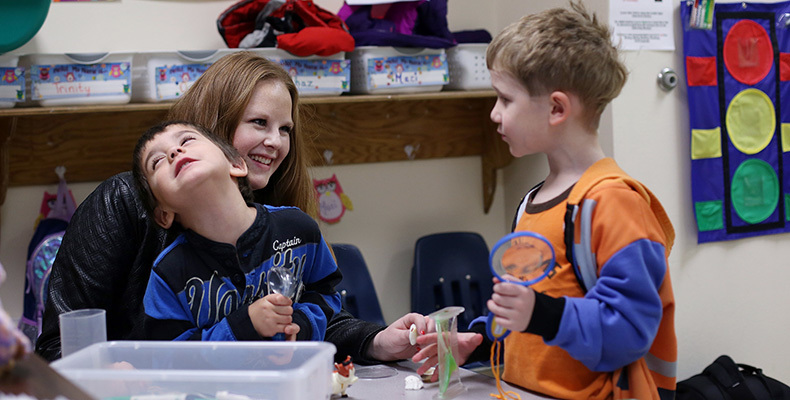 Through The Community Partnership, Luczak has been volunteering at All God’s Children Daycare on North Olive Street. She says she has always enjoyed working with children, but a young boy at the daycare center, in particular, touched her heart. He was shy and had social anxiety, and grew up in foster care, she says. “I knew he really liked bugs and insects, so I brought him a small microscope and some toy insects one day, and showed him how to view them,” she says. “He has really taken to it,” Luczak adds, fighting tears. Kraemer, a geological engineering student, is helping organize Phelps County Bank’s 2015 Take a Stand Against Child Abuse event. During the event, which takes place every July, children and their parents sell lemonade from stands set up throughout the community to help raise funds to prevent child abuse in the area. A native of Barnhart, Missouri, Kraemer mentored troubled students in high school. “Kids that had just gotten out of rehabilitation, mostly for drug addictions or problems with parents,” she says. McCabe, an environmental engineering student from Creve Coeur, Missouri, is also working with Phelps County Bank. Knowing her interest in computers, PCB assigned her to a project repurposing old computers for households in need. Sheahan, an environmental engineering student from St. Louis, is partnered with Missouri River Relief, a nonprofit that holds community cleanups of the river and its tributaries. And Works, a geological engineering student from Ozark, Missouri, is developing strategies for poverty alleviation for the Phelps County Faith Distribution, a local, volunteer-based organization that serves the area needy with groceries and other items. The students say they’re grateful for their service experiences so far, and look forward to further helping the community through the HES minor.